Is your white hair bother you and heat you up? Here are Remedies to reduce White hair. Hair is a natural jewel for girls. Your entire look depends on it that’s why you don’t want any kind of issues in your hair. The biggest fear of girls is premature white hair as it can be embarrassing for you. When you find your first white strands then you start finding ways to cover it. But sometimes, people opt unhealthy way to cover it up like plucking it or using chemicals. Now forget those ways and try the given solution. After some point of age its normal to have grey hair but at a young age, it is like a nightmare. Our hair follicles contain a pigment called melanin which releases black color and hair goes gray when color-producing cells stop producing pigment. This happens due to individual or combination factors which mentioned below. Amla is rich in Vitamin C and has antioxidant properties which help to fight against white hair and turns it black naturally. Amla helps in stimulating hair growth and prevent hair fall by strengthening hair follicles. Cut the amla and blend it to make a thick paste. Mix 2 tbsp of lemon juice and 2 tbsp of amla paste. Apply this mixture on your hair scalp and leave it overnight. In next morning, wash your hair with any herbal shampoo. Take 4 tbsp of amla juice, 2 tbsp of coconut oil and lemon juice each and mix it well. Apply it on your scalp with the help of cotton ball and leave it for 1 hour. After 1 hour wash it with any herbal shampoo. For best result use 3 -4 days a week. Coconut oil helps in the nourishment of hair and provide strength to the hair. Take 1/2 cup of coconut oil and 1 lemon. Heat coconut oil on a low flame and squeeze 1 lemon in it. Apply this mixture when its little cold from root to tip. For best results use regularly. Heat 1/2 cup of coconut oil with 6-7 curry leaves and lemon juice. Heat the oil until curry leaves leave its aroma. Massage it thoroughly on your hair after it cools down. Use regularly. Hibiscus flower is one of the popular herbs for hair growth. It is rich in vitamin C and amino acid which stimulates hair growth, stops hair fall and of course prevent hair greying. 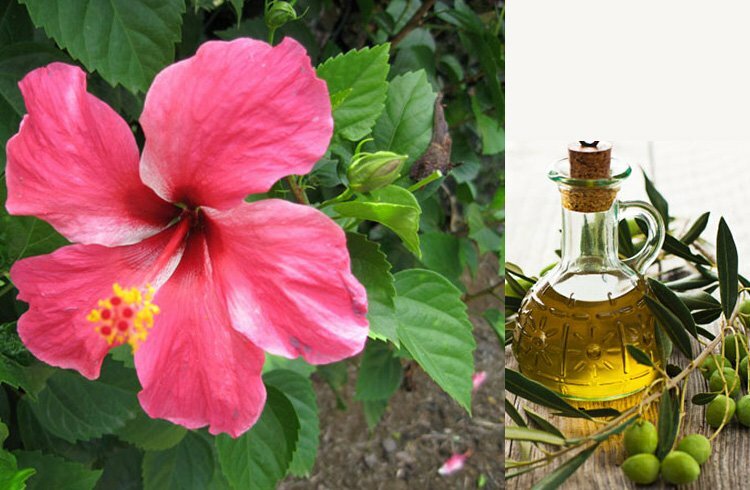 Boil Hibiscus flower in your regular oil for 10-15 minutes. Massage your hair with this oil when it cools down. Apply this oil before your regular bath. 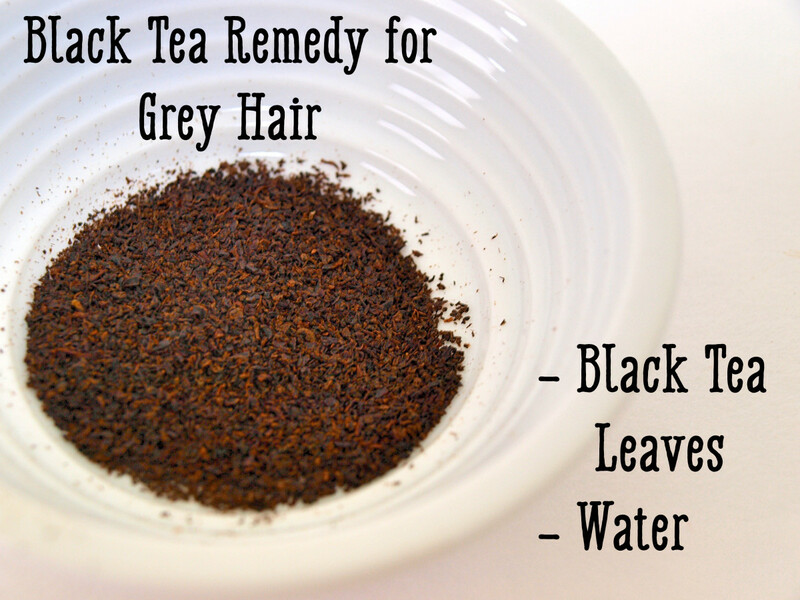 Black tea contains nutrients which help in recovering of black hair. Boil 2 tbsp of black tea leaves in a water. When it cools down Strain out the tea leaves. apply this on your and leave it for an hour. wash it afterward with cold water without using shampoo. wash hair with gram flour and curd mixture.